Century Plaza is a 55+ condominium community located in Pompano Beach, Florida. This complex offers its residents the ultimate in low-maintenance living. Situated on the beautiful coastal shoreline of the Atlantic Ocean, residents of Century Plaza enjoy beach access among other great amenities. This Broward County active adult community is surrounded by endless opportunities for recreation and entertainment. Shopping, dining, and excellent options for medical services are all within a short distance from Century Plaza. Residents of Century Plaza enjoy great amenities in this beautiful beachside community. Those looking to stay in shape can utilize the fitness center with weight machines and cardiovascular equipment. If you're looking for a little more relaxation, the library offers a quiet place with numerous titles. There is also a multi-purpose room great for a game of cards or one of the numerous community parties. The outdoor pool and sundeck are great for soaking up some sun or beating the heat with a refreshing dip. One unique amenity about this community is the beach access. With its seaside location, residents of Century Plaza only have to walk a few steps to enjoy the sand and sea of the Atlantic Ocean. Century Plaza was constructed between 1969 and 1979. With 187 condominium units in two attached buildings residents enjoy the ultimate in low-maintenance living. Condos in Century Plaza range from approximately 1,000 to 1,500 square feet. They have one to three bedrooms and one to two bathrooms with covered parking. Some units feature private master bathrooms perfect for active adults while all units offer an open floor plan with eat-in kitchens and covered porches with beautiful ocean views. Century Plaza provides its residents with a great lifestyle. Homeowners pay an annual homeowners' association fee that covers exterior building maintenance as well as upkeep of all the amenities. 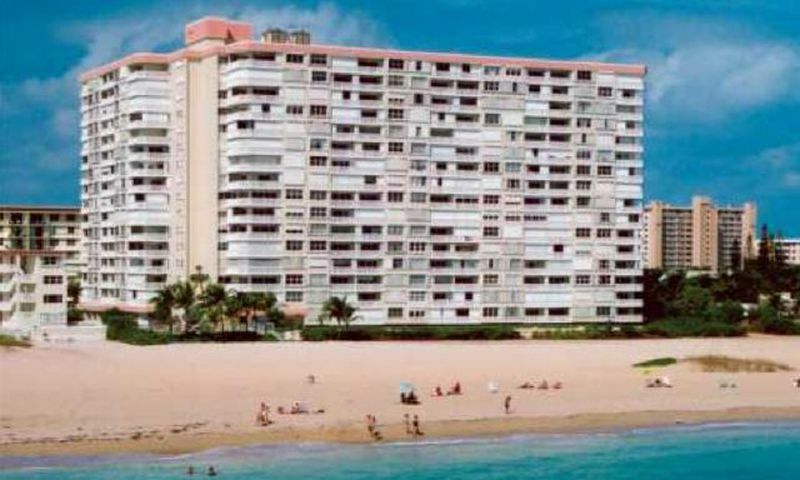 Active adults of Century Plaza love the beach access just a few steps from the outdoor pool. Those looking to be social and enjoy the company of their neighbors can join the book club, card club or attend a community party or event. Located in Pompano Beach, Florida, residents enjoy a vibrant beach town culture close to major urban areas. Situated close to I-95 residents can easily travel south to Fort Lauderdale or Miami, and north to the Palm Beach County area. Nature lovers and photographers can take advantage of the Everglades Wildlife Area. This massive area offers thousands of acres of wildlife and wetlands. Golfers will love the numerous public and private courses within the vicinity offering play for all skill levels. Century Plaza offers great seaside living along with an abundance of amenities both in and outside this 55+ community in Broward County, Florida. There are plenty of activities available in Century Plaza. Here is a sample of some of the clubs, activities and classes offered here. Condos in Century Plaza range from approximately 1,000 to 1,500 square feet. They have one to three bedrooms and one to two bathrooms with covered parking. Some units feature private master bathrooms perfect for active adults while all units offer an open floor plan with eat-in kitchens and covered porches with beautiful ocean views. Please Note: Floor plans are not available at this time. 55places.com is not affiliated with the developer(s) or homeowners association of Century Plaza. The information you submit is distributed to a 55places.com Partner Agent, who is a licensed real estate agent. The information regarding Century Plaza has not been verified or approved by the developer or homeowners association. Please verify all information prior to purchasing. 55places.com is not responsible for any errors regarding the information displayed on this website.